Home » Telugu » News » Allu Arjun shares the proudest moment of his life and it’s too adorable to miss! 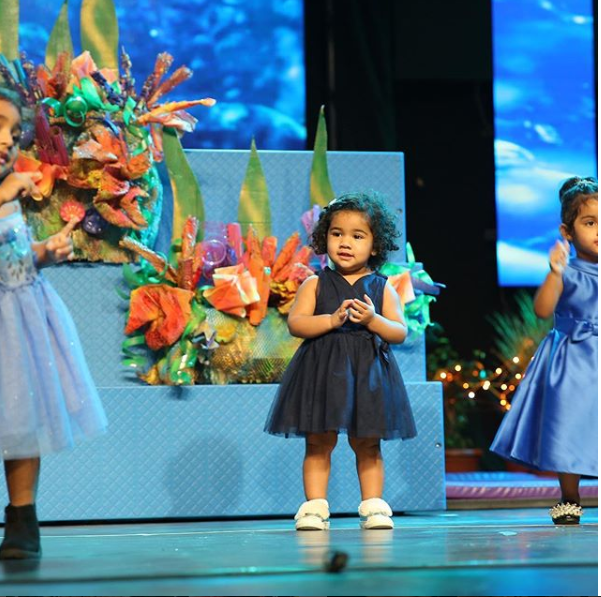 South actor Allu Arjun is celebrating the proudest moment ever as his adorable daughter Arha performs for the first time at her school. Sharing the most beautiful moment of his life with his fans, the actor took to Instagram to share a beautiful picture of his daughter Arha along with a cute caption. Isn’t it the most cutest picture you will see on the Internet today? She is just so adorable! Talking about Allu Arjun’s recently released film Naa Peru Surya; the film has had a good run at the box-office and is receiving a good response from the audience. Recently, the makers hosted a success party, which was attended by power star Pawan Kalyan. NPS sees Allu Arjun in a very strong role. The film also has Arjun Sarja, Sarath Kumar and Thakur Anup Singh in pivotal roles. The music of this film is composed by Bollywood duo Vishal-Sekhar.